No south Indian Meal is complete without rasam,a spicy soup spiked with different spices and laced with coriander .It is especially comforting if you have cough or cold and also helps to keep the throat well conditioned. This is often served after the main course as it helps in good digestion. Rasa Podi, the spice mix that flavors the dish rasam is made everyday in Tamil Nadu. Heat a heavy bottomed pan and dry roast the above ingredients. Keep the heat low and stir constantly to prevent burning. Allow it to cool and grind in a blender until fine . Preserve this is an airtight jar and when you prepare rasam add 2 tsp. of this powder. Very flavorful and useful rasam powder..
nice and very flavourful podi..thanks for sharing. Nice podi..I love to make rasam often. simple recipe and easy to make ...seems flavourful. I was to have posted a rasam podi post too. More to keep it as a reference! Will compare it with the one I use too. Nice recipe and thanks for sharing dear! Very flavorful, rasam is a must in my home when I cook plain rice..
Wow super flavourful podi,nothing will beat the homemade one na. home made are always perfect and aromatic. Super flavourful powder !!!! Home made is always nice !!! Nice and flavorful podi recipe !! Aromatic and yummy rasam podi. thanks for sharing such an awesome rasam powder recipe. I too prepare in the same way. 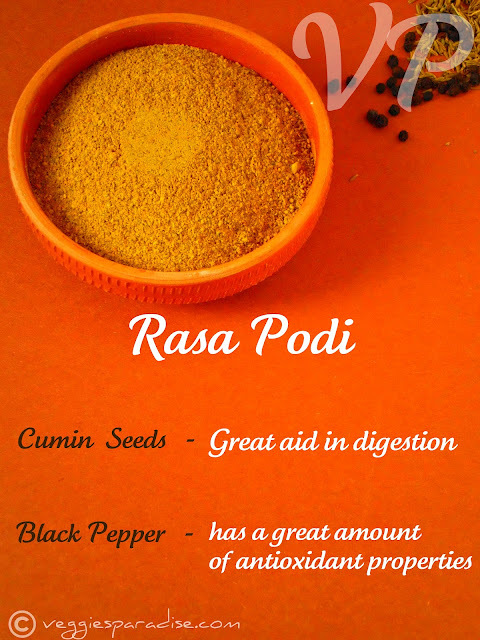 nice aromatic podi..sounds simple to make at home..
Nice Rasappodi recipe!Nice photograph too!! simple one but involves lot of care as even if one get burnt the taste differs. 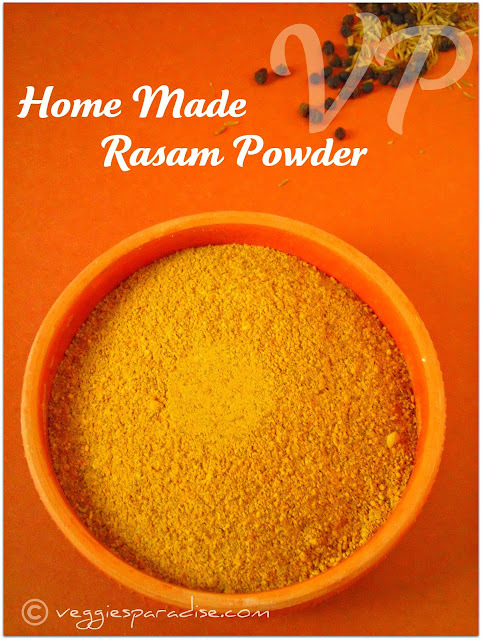 Nice to keep rasam powder on hand to whip up rasams easily. Nice clicks.